Quilt Market | Quilting my way through life! We are always so busy from the time we leave until we get home that I forget to take pictures! I did snap a shot of our almost empty booth. Our Schoolhouse sessions were well received. & discuss my new patterns the day before Quilt Market officially starts. “Joy to the World” is one of my favorite new Tiny Dresden quilts. I designed the nativity scene hanger set & Ackfeld mfg. is making them. “BOO” is probably my best-selling new pattern since it was introduced at Spring Quilt Market in Portland, OR. Once our Schoolhouse sessions were over we were able to finish hanging the booth. There was a steady stream of shoppers at this market. That means lots of shop owners to talk to and I’m very pleased with our sales. like getting our pic taken in our booth, lol! It was the third day of market before we remembered to have a neighbor take our picture! Robin Koehler (Nestlings by Robin) was my helper (a.k.a. slave labor) for this market. 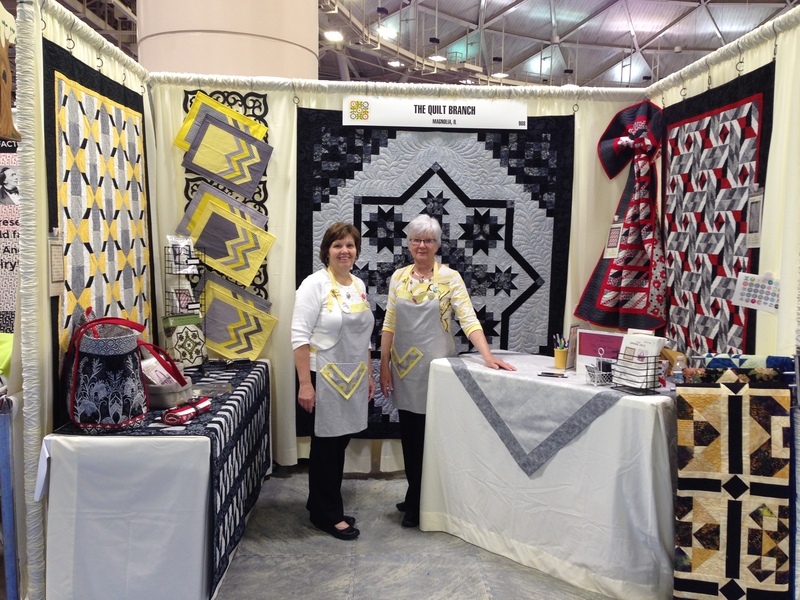 Quilting Creations, which debuted at market as well! 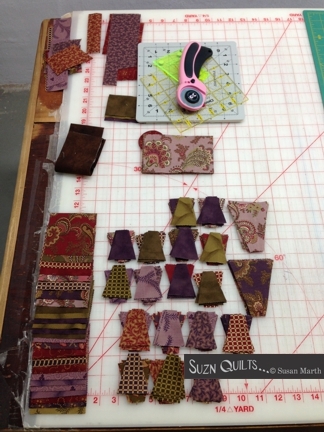 Some are for hand quilting and some are continuous line for machine quilting. You can find them on Creative Creation’s site here! 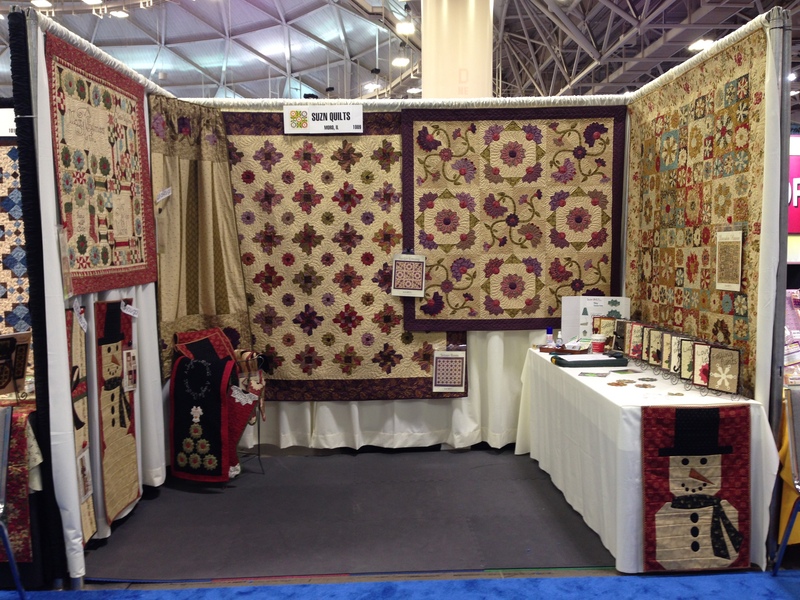 Unfortunately, I hardly got out of our booth to see what else came to Quilt Market. What I did get out to see, I saw during the little bits of time before the show opened each morning. & getting our rental van replaced the third morning… grrrr. I always take a pic of my rentals’ license plate in case I need it to check into a hotel or WHATEVER. 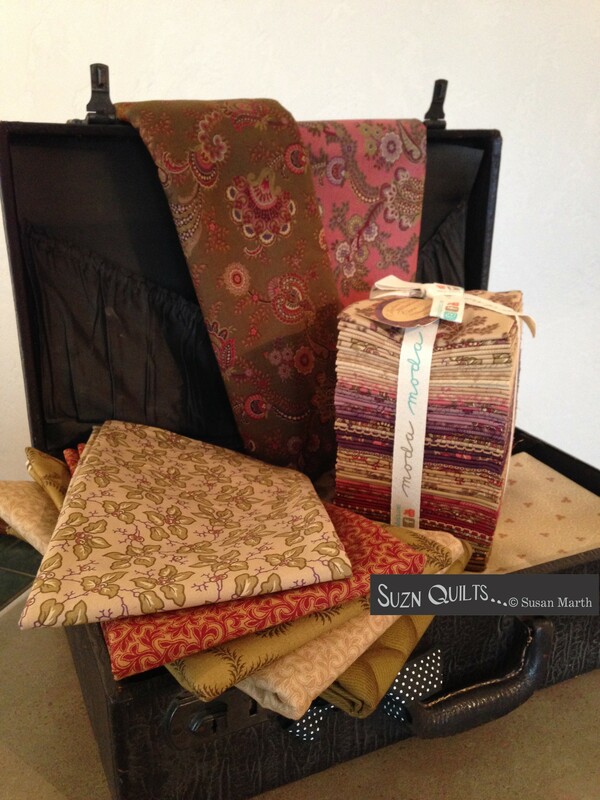 I saw a lovely new fabric line by Betsy Chutchian, Susanna’s Scraps that I really like. & I really liked their adorable sand bucket! is another collection that has that beautiful aged charm that I love. Unfortunately it’s pretty blue… but those golds & neutrals!!! I hope you’ve enjoyed my little market recap. and most of my catch-up work is complete, whew!!! What a busy, tiring and fun trip. Everything was labeled & packed tight for the 15 hour drive. Nothing worse than listening to things rattle for hours on end. & Chloe & I had the booth set up in no time! Yes, Robin the overachiever made 2! Then there were book signings introducing Dresden Quilt Workshop. we walked part of the show to see what else came to Houston besides Suzn Quilts. Here’s a look at my fav… Jo Morton’s newest line, New Hope, yum! Betsy Chutchian’s new collection was very pretty. French General’s new collection was lovely too. Lella Boutique also very pretty. Tim Holtz, always super cool! Her newest collection, more yum!!! a little close-up in case you’re not sure what I’m pointing at, lol! That will have to wait for another day. 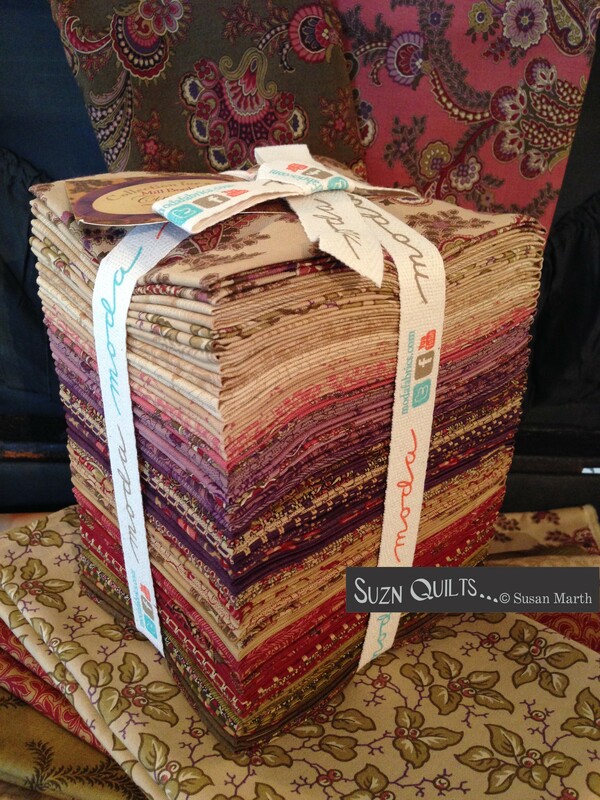 It’s been a busy year here so far in the land of Suzn Quilts. It was practically in our backyard at the St. Louis convention center. but oddly enough it didn’t really feel like I was at market since it was so close. that weigh no more than 50 lbs. each+ 2 carry-ons. The down side of that was more work for us since I decided we could have a bigger booth since we didn’t have to travel! That also meant more “fluff” to bring to display with! But, I loved the way that our booth turned out. Between market shoppers we were able to visit with our market friends that are scattered around the country. Diane & her sister, Linda of Puffin & Company. 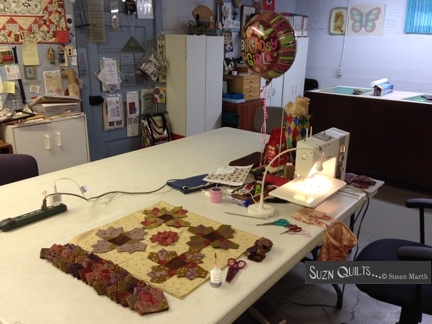 They have lovely quilting and sewing tools to help those who enjoy hand work. Celine & Molly of Perkins Dry Goods. Celine has more beautiful patterns for those that love patchwork. Susan of The Quilt Branch (Karen her helper had to leave early to attend a graduation). Susan has lots of cute new designs to use that Creative Grids “House” ruler that you already have! & we have lots of new patterns to show you! I just remembered that I hadn’t posted any photos of Houston Quilt Market 2016.
graciously offered to come along as my helper. took a new job that started October 31, so she wasn’t able to come along this time. She is now working in the NICU. I hope you never need her services, but if you do, you’re in good hands! She is also working on her doctorate to be a Family Nurse Practitioner. 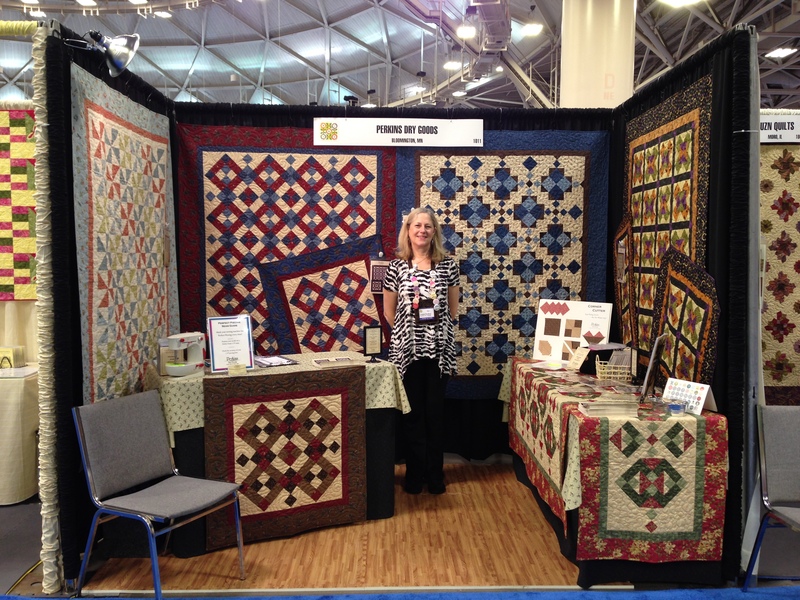 My quilt-as-you-go table runners/wall quilts were very popular. My Tiny Dresden Seasonal Series was very popular as well. I love the muted colors of my booth this market. Jo Morton, 3 Sisters, Barbara Brackman & Laundry Basket to name a few. While there, we (quickly) took in the Dear Jane exhibit. The reds are gorgeous, but I think I’d get tired of just using red. Robin’s favorite had the black heart secondary pattern. Leaving off the triangle border would eliminate a lot of work! But don’t kid yourself, there are still 169 little blocks! I really like these muted colors. Interesting pattern in the gray triangle border fabric. Another secondary pattern with the color placement of blocks. It looks so different with brights! I like the rainbow of muted colors. It’s pretty similar to the original quilt. Really like this one too. 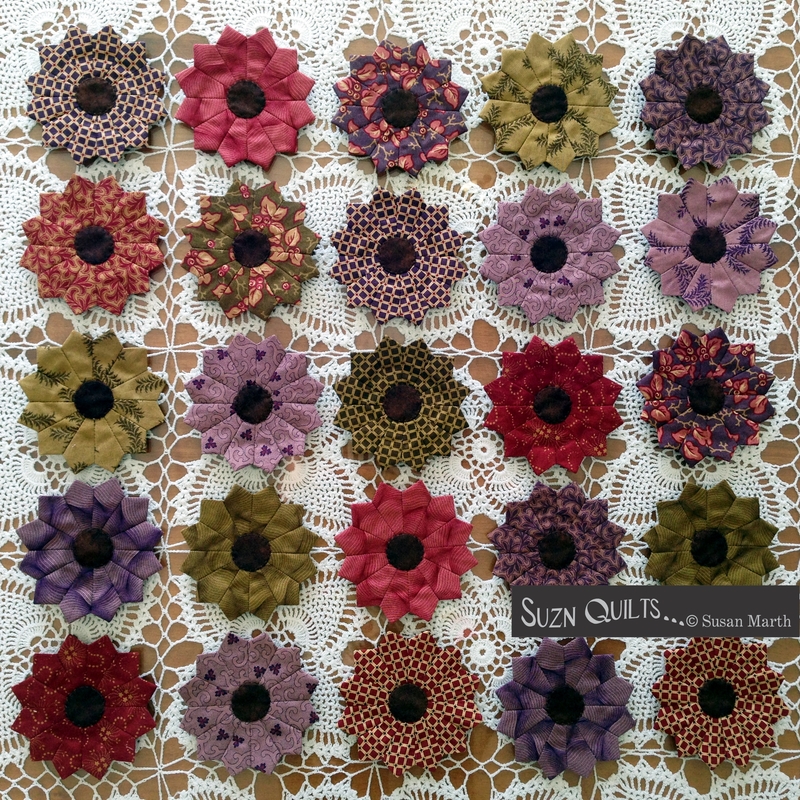 I’m still on the fence as to whether or not I’ll start this quilt. Want to make one with us? We’re still trying to figure out the time-frame. Just one per week would take 4 1/3 years. If I make the quilt I’ve decided it will be with civil war prints. That’s in keeping with the original quilt. 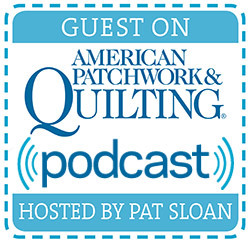 I wasn’t able to attend, but I do have new quilt patterns that would have been there. I was with my family instead since my wonderful Mother-in-law passed away the day before Chloe & I were to fly to Houston. How appropriate that this is the first of my three new patterns. I’m sad, I’m tired & I’m so blessed to have such a wonderful family & such dear friends. Getting older is not an easy thing for anyone involved. I will miss my mother-in-law dearly. She was one of my best friends. I’m so thankful that she was able to live independently in her own home & will not be going into assisted living or to a nursing facility. One of the reasons I do what I do is because of the ability to work around my family & its many schedules. I can work at any hour & stop at the drop of a hat to help whoever needs me at that moment. It started with raising our children but more recently it’s been helping with our parents. I’m very fortunate & I’m so thankful they at least take turns! How appropriate that this is my next new pattern. I’m definitely in “My Happy Place” with my family & in my sewing room!!! & “My Happy Place” also uses my Mini Dresden Template. the paper template is included in the pattern, but you’ll want to also purchase the plastic template because it will make your cutting so much quicker & more accurate. 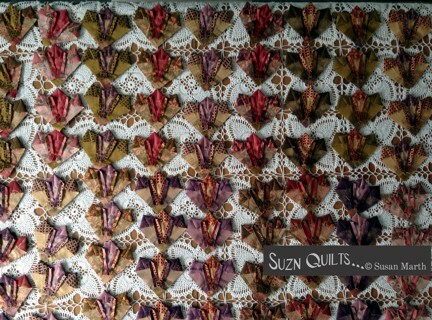 Look for them on my website & hopefully soon at your local quilt shop! 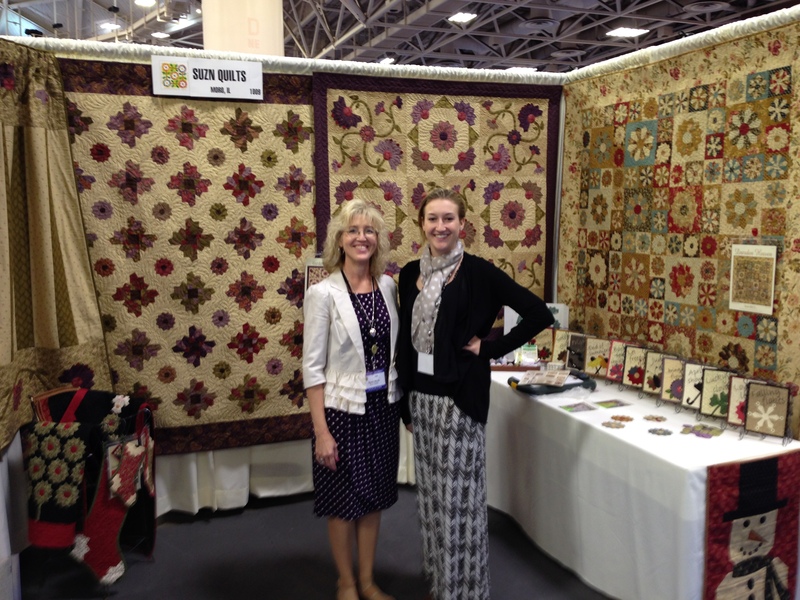 Chloe & I flew to Quilt Market in Minneapolis to show my new designs. We had a booth full of Tiny Dresdens, Mini Dresdens & some pretty cute Frosties! Our special market friends were there too. & an assortment of beautiful baby quilts! even an adorable baby quilt! along with more of her signature 6 halves quilts & place mats. & it was fun to meet so many new ones too! 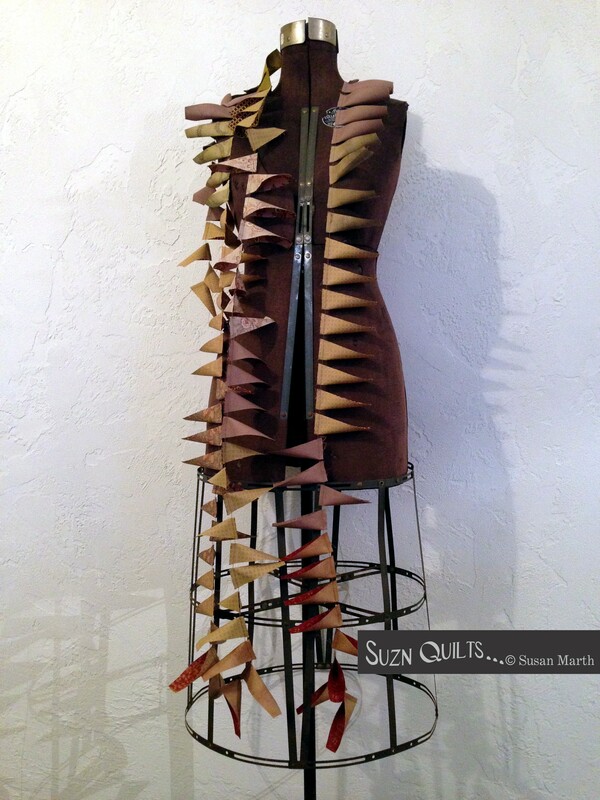 Tiny Dresdens, Mini Dresdens, Quilt-as-you go & All 3-in-1! I sent my patterns to the printer this week, yeah!!! That means soon & very soon I’ll have new patterns to show you! Remember this from a few months ago? Moda’s Mill Book 1892 collection. It takes a lot of work to finally get to this step. to patterns in a bag or book, ready for you to sew. 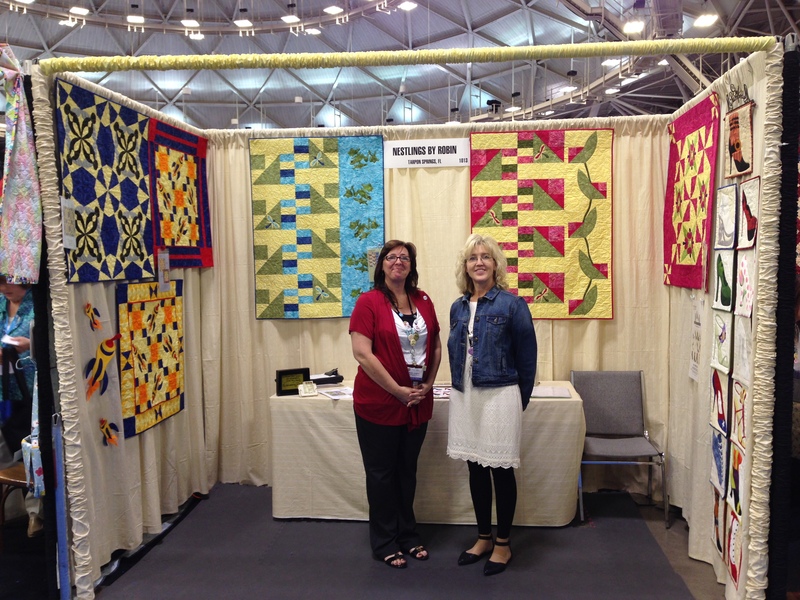 International Spring Quilt Market is May 15-17 in Minneapolis. both my Tiny & Mini Dresden plates with a Quilt-as-you-go lap quilt!